In conversations I’ve had with behavioral health and hospital facilities managers, they know that their inpatient entryway doors need to be ligature resistant. But their concerns heighten when The Joint Commission, an independent not-for-profit organization that accredits and certifies U.S. health care organizations and programs, cites them for door safety problems. These risks must be eliminated within 30 days of notification. If the patient safety problem isn’t fixed, the facility will face fines and the potential cancellation of Medicaid and Medicare reimbursements. That elimination of funding can and has led to facility closures. So how can they easily bring their entryways in compliance? Jesse Garcia, Jr. at Addax Locksmith Company in Brownsville, Texas, has been installing and repairing locks for 24 years. 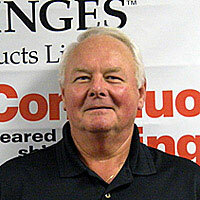 David Eubank, manager and training manager at A1- Locksmith in Tarrant County, Texas has been a locksmith for 39 years. When you work as many decades as these two locksmiths, you see and solve a lot of security issues. You find ways to install and rekey locks more efficiently. Fit more jobs in a week. The most experienced locksmiths I know tell me, “If I can finish an installation or repair faster, I can fit more jobs in my schedule and make more money that week.” The challenge for them is how to shave minutes off each job. Here at SELECT, we heard what installers were saying and came up with four new time-saving products to add to their toolboxes. 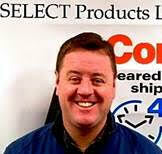 SELECT Products Limited in Portage, Mich., recently hired Brandy Secor as its new customer service representative. 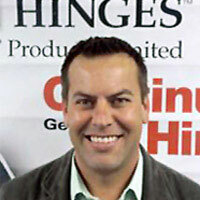 Vice President-Sales and Marketing Steve Pyatte said Secor will assist customers with order processing and fielding questions about the company’s geared continuous door hinges and accessories.